Morrissey today unveiled a new U.S. tour next year that includes 24 dates rescheduled from his postponed fall tour (two shows are not being made up) plus eight newly added concerts in New York, Pennsylvania, Tennessee and Texas. Plus, Moz’s big L.A. arena show now features Patti Smith as special guest rather than Iggy and The Stooges. Two shows from the fall tour — in Bellingham, Wash., and Wichita Falls, Texas — were not rescheduled, while the trek adds concerts in Long Island, N.Y., Brooklyn, N.Y., Reading, Penn., Port Chester, N.Y., Nashville, Tenn., Lawrence, Kan., Austin, Texas, and Dallas, Texas. Although Ticketmaster still lists the Stooges as guests for the March 1 date in Los Angeles, today’s announcement makes no mention of that band and instead lists Patti Smith as support. 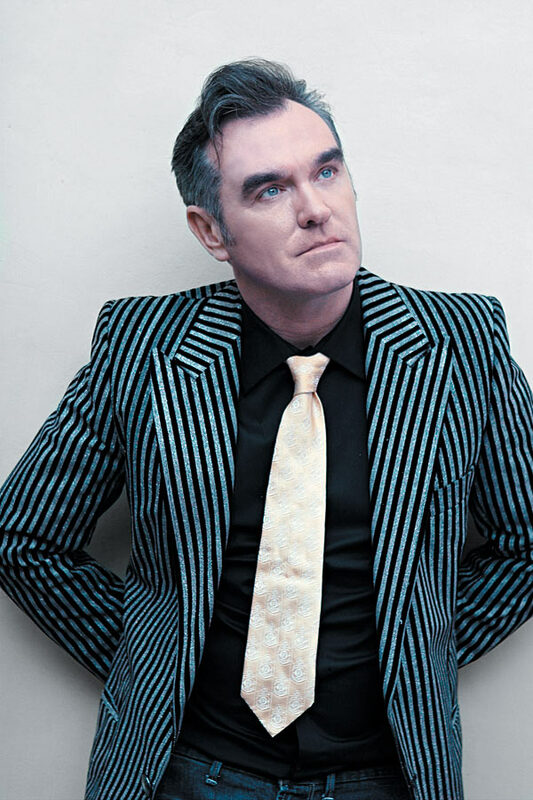 Morrissey scrubbed the remaining dates of his fall tour to return to England to be with his ailing mother. He is set to resume touring later this month with a trip to Australia and New Zealand. Now referred to as the “Horses/Cockhorse Tour”.